Coffee is not only one of Peru’s highest economically returning products for export. It is also one of the reasons why many travelers come from all over the world to learn about production routes and the magic that exists behind a cup of Peruvian coffee. In Peru, there are many types of coffee; distinct grains coming from unique production areas. After oil, coffee is the second most exported natural product in the country. Amongst Peru’s agricultural products, coffee (and asparagus) represent half of all exports. This coffee is mainly produced in the Andean valleys as well as in the region that borders the Andes and the Peruvian Amazon. To be more precise, Peruvian coffee is cultivated in 388 districts, by approximately 150,000 producers, occupying 330,000 hectares of land. Although countries such as Colombia have historically been more famous for the production of coffee, Peru’s coffee development has progressed a lot in the past few years… so much so that Peruvian coffee has won multiple awards for its excellence. But let’s look into the history of coffee in Peru. It was not until the 18th century that coffee comes to the Americas. However, on the contrary to how most people imagine, coffee was actually introduced to this region by Europeans. Central and South America were the most frequently chosen places for the product to be planted, to which the product flourished in these new geographical and climatic conditions. By the middle of the 18th century in Peru, coffee was being commonly produced in Chanchamayo, Moyobamba, Jaén, Huánuco and Cusco – primarily for local consumption, but also for export. The main export locations of Peruvian coffee were Germany, England and Chile. Fun Fact: the first Café in Peru was opened in the city of Lima, in 1771 (located on Santo Domingo Street). Almost a century later, in the mid-19th century, Europeans began to plant coffee in the Chanchamayo Valley, along with other crops such as tobacco, cocoa and sugar cane. In fact, in the 1930’s the English named the Chanchamayo Valley as the “coffee zone of excellence”. But only towards the end of the century did coffee finally establish itself as a product of mass production. Because by this time, the quantities being produced were exponentially increasing and the product was earning worldwide recognition as its quality also improved. Currently, Peru is the 8th highest producer of coffee beans. According to the FAO (the Forestry and Agriculture Organisation of the UN), Peru produced approximately 800,000 tons of coffee last year. This, according to the International Coffee Organization, equates to 4.25 million bags of coffee annually. To give you an idea of the scale fo coffee production in South America, Brazil is the largest coffee producer in the world producing 36 million bags of coffee annually. Recently, Peruvian coffee received the recognition of being the “best speciality coffee in the world”, trumping the usual favorites such as Colombia and Guatemala. This recognition was given in the 22nd Fair of the American Association of Special Coffees (SCAA). The North: 43% of coffee production takes place in Piura, Cajamarca, Amazonas, San Martín. The Center: 34% of coffee production takes place in Junín, Pasco, Huánuco and Ucayali. The South: 23% of coffee production takes place in Apurímac, Ayacucho, Cusco and Puno. Only the following two Peruvian Technical Standards, 209.027-2001 and 209.311-2003; certify Peruvian coffee. These standards ensure high consistency and quality with regards to with, temperature, humidity, taste, and granulometry. Additionally, there is also the so-called “high altitude coffee”, which is cultivated at over 1,200 m.a.s.l (in the high forest). Each year, a National Quality Coffee Contest is held (the 15th edition will be held in 2019), based on the coffee classification standards of the National Coffee Board. The contest chooses the best coffees on a scale of 100 (typically the coffee must be of a special quality to exceed 80 points). The event is usually held in September and involves over 500 coffee producers. The export of cofee is one of Peru’s most profitable activities. And becuase the production and quality of grains have increased so much, the number of countries who opt to import the product is continuously on the rise. Currently, the biggest importers of Peruvian coffee are the USA, the EU and a range of Asian companies. In 2017, the export of Peruvian coffee was worth $713.5m, almost half of which was sold to the EU, following by the USA (25%). Peru is now the second largest producer and exporter of organic coffee in the world. The country became a world-renowned benchmark with regard to the cultivation of speciality coffees. This product is now a flagship product for Peru. The cultivation of coffee occurs in regions ranging from 600 to 1,800 m.a.s.l, in almost all regions of the country. However, 75% of this cultivation occurs above 1,000 m.a.s.l. Speciality coffee, also known as gourmet coffee, is characterized by its exceptional quality. A cup of this coffee typically would not have any defects. Additionally, this coffee bean enables roasters to vary the balance of arabica and robusta – giving each produce a “difference” factor. For a coffee to be classified as a speciality coffee, it must come from certain geographical territories; subsequently having a unique microclimate, variety, composition. Organic coffee comes from crops that are specially managed. 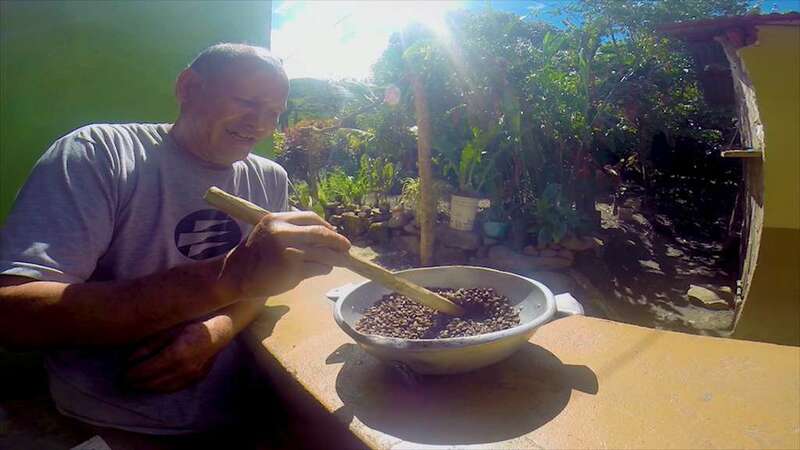 For example, one characteristic that distinguishes organic coffee is that certain soil conservation practices are conducted, during its cultivation. Fair-trade coffee is produced by organizations that guarantee a minimum price for the benefit of the producers of the coffee. It ensures that it is the hardworking farmers of the coffee bean benefit more than the corporate intermediaries. Bird-friendly coffee is characterized by the stratum of crop and adequate organic management. Similarly, rainforest alliance coffee seeks to protect wildlife and biodiversity through the conservation of forest areas, as well as through the reinstallation of natural ecosystems. It also entails compliance with social standards, including occupational safety, as well as access to health and education services. Coffee, like wine, has its magic. It is not as simple as choosing between one grain and another. The taste, texture and preference depend on the palette from which the coffee is chosen. Therefore, coffee grains have unique flavors and characteristics, depending on the part of the world in which they are grown. Altitude, temperature, soil, and even the harvest are factors that influence coffee. And let’s not forget the actual roasting process of the beans, which can release even more nuances of flavor. Arabica: is the “champagne” of coffee. Arabica beans have a unique aromatic richness that produces a smooth and deep flavor. Robusta: is considered as the caffeine queen of coffee. Robusta beans contain almost twice as much stimulant as the Arabica bean, giving the coffee a stronger and slightly more bitter taste. Kopi Luwak: is perfect if you are searching for a gourmet flavor that is also unique, you must try the award-winning grains extracted from Indonesian civets’ manure. This mammal, similar to a mongoose, eats the fruits of the coffee plant, before defecating the seeds. Its digestive system processes the fruit in a unique manner, providing a delicious flavor to the grains. In order to distinguish the diversity, speciality and origin of Peruvian coffee, the brand “Cafés del Perú” was established. This title allows Peruvian coffee to be recognized worldwide and positions Peru as a “coffee country” in international markets. Therefore, “Cafés del Perú” is a way to distinguish the country’s ability to produce the finest and select varieties in the world of this product.This distinctive stamp was designed by the Governmental Commission for the Promotion of Peru for Exports and Tourism (Promperú). The primary incentive for the creation of this brand was to increase exports and also benefit coffee consumption in the domestic market. According to the estimates, the average Peruvians consumes half a kilo of coffee per year, which is much than figures in Colombia and Brazil. Therefore, under the umbrella name of “Cafés del Perú”, all coffees produced in the country are well marketed. This even includes the premium and gourmet strain (which score above 80 in the coffee rating scale). These coffees come from crops located between 1,200 and 2,000 m.a.s.l. So, if you want to know whether a coffee is Peruvian, just look for the logo of the brand on the respective packaging. Typically, this logo will be surrounded by various rings, illustrating its unique characteristics. As aforementioned, coffee is Peru’s primary agricultural export and ranks Peru as the 7th largest coffee exporter in the world. In fact, coffee is so important to Peru that it ranks amongst the country’s 10 most exported products (including some minerals, oil, natural gas and seafood). Peru is the second largest exporter of organic coffee in the world, second to Mexico. Coffee in Peru is cultivated over 425,416 hectares of land, which represents 6% of the country’s agricultural land. Coffee plantations are located in 17 regions, 67 provinces and 338 districts. Approximately 223,000 families produce coffee in Peru, 95% of whom are classified as “small producers”, owning 5 hectares or less. One-third of agricultural employment is related to the coffee market. 80% of coffee producers use an organization to export their product, as only 5% of them have higher education. Only 3% of coffee farmers use advanced technology on their farms. However, Peruvian coffee does not only exist to be exported, it also happens to be the reason why thousands of travelers from around the world come to Cusco to learn about how the grain is produced. The quality of the country’s coffee has caused many to wonder. Therefore, numerous tours and travel routes are offered to educate tourists about the magic behind the Peruvian cup of coffee. 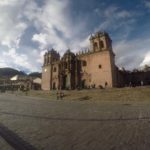 Cusco is no exception and has its coffee own route. 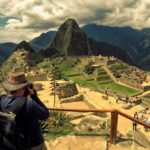 In fact, out of the many routes to Machu Picchu (the Inca Trail, the Salkantay Trek, the Lares Valley or the Sacred Valley), there is also a tailored route for coffee lovers. Not only does this route takes you through the most important attractions in Cusco region (Ollantaytambo, the salt mines of Maras, Moray and more), but it also takes you to local coffee plantations, to understand the production process and to be in contact with communities producing it. Una opción es utilizando el nuestro y vivirá una aventura única. Ya sabe todo lo que tiene que saber del café, ahora es el turno de viajar al lugar donde lo producen y aprender más sobre este exquisito cultivo, el producto de bandera de Perú. You can access this adventure by going on our Coffee Tour of Peru. You already know everything you need to know about coffee, now it’s time to travel to the place where it is produced and learn more about this flagship product of Peru.